It clicked! And then she went to town tying every shoelace she could find! Wendy is a bow tying nut now. How wonderful! Yesterday’s Classics republishes “classic books for children from the golden age of children’s literature, the era from 1880 to 1920.” Fortunately, our family discovered Yesterday’s Classics several years ago and has been reading these wonderful books since. These books really are wonderful. But now something else is wonderful, too – Yesterday’s Classics is offering its entire collection in Kindle and EPUB format! Now I can take an entire library of great children’s books with us wherever we go – and I do. We read all over the place, and when the children get older, I can see them each with their own Kindle so they can take books with them wherever they go (we LOVE my Kindle in this house!). Yesterday’s Classics books are great, and there are enough to keep even a voracious reader busy for some time – 225 so far in Kindle or EPUB format. There are several reading levels and genres – from fairy tales to history to science and back again. Each book is a reprint of a classic title. I am a confessed book junky. I own several thousand books. I also own a Kindle and several hundred (at least) books in Kindle format. Believe me, then, when I tell you that the ebook version of the Yesterday’s Classics titles are extremely well done. The books take advantage of all the Kindle has to offer in the way of screen resolution and text resizing. Also, the books offer text to voice, so even my .blessed-dyslexic can read along! As I mentioned before, we have used Yesterday’s Classics books in our homeschooling for the last several years. Each book we have read so far has been wonderful – and kid friendly. I don’t have to censor them much, which is a blessing. I also know that they aren’t tainted by “new” history teachings and a progressive agenda. Plus, Tapestry of Grace uses lots in their recommended readings, so we really get our money’s worth. Thanks, Yesterday’s Classics, for offering these books in Kindle format – and for making them accessible and affordable! You may purchase individual titles directly through Yesterday’s Classics, prices vary. Right now, though, they are making an offer that is not easily refused. Yesterday’s Classics is offering ALL 225 of their books in Kindle or EPUB format for $99.95! That’s much cheaper than purchasing each title individually, let alone buying each title in hardcopy. The great thing about this offer is that you can use all of these books even if you don’t own a Kindle or EPUB reader – the Kindle reader app is available for your PC for free! What’s not to love?! 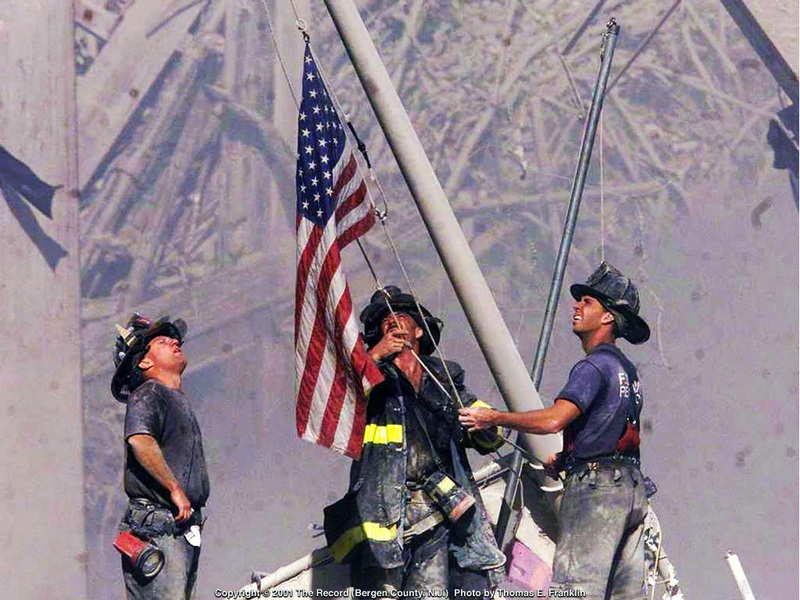 …And then the man behind the worst terrorist attack on U.S. soil died from an American bullet to his head. USA! USA! USA! 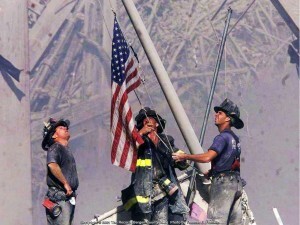 Thanks, Navy SEALS Team 6! Growing Healthy Homes is a company made up of moms who want to help other moms learn how to feed their family in accordance with God’s plan as outlined in the Bible. What a great mission! Nutrition101 is a main component in this mission and is a wonderful addition to your homeschool day. 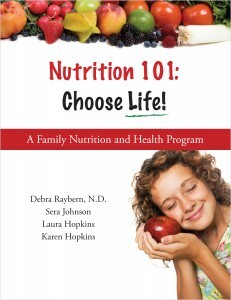 Nutrition101 teaches families all about the major body systems and how they function. The book also presents information about health issues that are associated with each system and how to make wise food choices to keep them functioning well. The book is basically a whole health program in 400+ pages. There are six units, each unit focusing on a certain system of the body. Within each unit, there are four chapters, so 24 chapters in all, which will fit in nicely with most homeschooling schedules. The book outlines a sample week to help you get the most out of each chapter. Activities are included for each chapter plus discussion questions, lots of checklists, shopping lists, nutrition information, and food charts. We had lots of fun learning about the different body systems. We also had fun learning basic nutrition principles and discovering how God has provided for us yet again a perfect (and simple) plan. The recipes are great – even for my picky eaters – and the .pengwendolen had lots of fun helping out in the kitchen. You won’t regret teaching your children (and yourself!) the incredible benefits of making healthy food choices, and the book can be studied again and again and in greater depth each time. Nutrition101: Choose Life! Is priced at $99.95. A CD-Rom version of the book is also available as well as a book/CD combo. With all the recipes and charts and information, I suggest buying the combination. If price is a big issue, though, you could get by with just the CD-Rom version. You may purchase any version you wish directly from Growing Healthy Homes. Enjoy! While you’re at the site, check out some of their webinars and free downloads. You will be glad that you did! 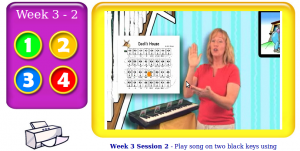 KinderBach is a great online music program for younger children. Kids learn at their own pace by playing games and completing fun activities. Wendy, as you all know, is “ma Belle Chanteuse” – she has been taking voice lessons for almost a year. Reviewing KinderBach has been a great way to introduce some piano playing into the mix to round out her music education. The KinderBach program focuses on six areas of music development: ear or listening skills, sight or note reading, rhythm, hand position or technique, singing, and composition. Kids are taught skills in each area and are encouraged to develop those skills in several ways. Best of all, KinderBach does all of the teaching – mom (or dad) just needs to be there for reinforcement. Before kids are encouraged to play their first song, they are taught various aspects of music that make playing any instrument easier. Students learn things like rhythm, note identification, note placement, and music patterns. KinderBach teaches through engaging videos and fun activities that incorporate fine and gross motor skills. There are 60 weeks of instruction with 4 lessons each week. Parents are strongly encouraged to watch each lesson with their children the first time it is presented. After that, the children are encouraged to watch each video lesson as many times as they will. What this means is that there is going to be mommy “teaching-time” involved in using this program. Having said that, though, there is very little prep time involved, so mom gets to have lots of fun while the kiddos learn how to read and understand and play music! Did I mention that you as the parent don’t have to know anything about music or playing an instrument? Well, you don’t. KinderBach does it all for you. Also, it just makes sense that this program is better suited for young learners than conventional lessons. With this program, your children get a lot more exposure to actual learning – 4 sessions each week instead of one lesson. The built-in reinforcement is crucial when they are young. Plus, they will enjoy it – my kids did! 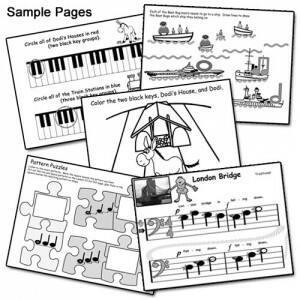 KinderBach offers an online subscription as well as a DVD teaching set. There is one price for each no matter how many children you plan to teach with the program. If you have several young children as I do, then that is a great deal! An online KinderBach subscription is as low as $7.99 per month – compare that to the $100 per month we (can’t afford to) pay for Wendy’s voice lessons and it’s a no-brainer. Great music education at a great price! KinderBach also has plans to expand the learning with online games and songbooks. They are in development, but they haven’t revealed the launch date for those parts of the program yet. Certainly sounds exciting! You may purchase an online subscription or the DVD set directly from KinderBach. Check out their site for a free trial and free samples of the activity books that correspond to each level of the program. Also, there is a parent forum and lots of questions answered directly on the KinderBach site. Have fun and be musical! It’s definitely a skill your children will have for life. GoGo Kabongo is a great online learning environment for ages 4-7. Children develop and practice important skills without even realizing that they are learning! They just think they’re having fun. My kids ask every day to play “Bongo” – Will had a bit of trouble remembering the whole name. Wendy and Will practiced and improved lots of their brain skills such as working memory, visualization, and phonics. At the same time, their attention and focus noticeably improved after playing for a while. 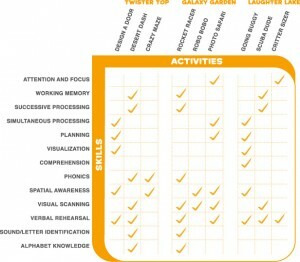 Here is a handy-dandy chart that details the skills acquired and practiced in each available environment. New environments are being developed and my kids are looking forward to checking those out. The graphics are great and the games are very engaging. Plus, there is no software to install and you can play anywhere you have an internet connection. GoGo Kabongo is wonderful and affordable. Actually, sign up is free as are the first two learning environments. Each environment after the first two is priced at $4.95. Period. No subscription fees. No membership fees. Your kids can play as much as they want and you won’t ever be required to pay more unless you want to purchase new environments. You may sign up and/or purchase environments directly through the GoGo Kabongo site. You have nothing to lose and your kids will thank you for all the fun! Seriously, what are you waiting for?? Classical Academic Press offers several levels of Latin instruction. Song School Latin is for young beginners – and it’s a terrific introduction to the Latin language. It’s extremely engaging and so much fun. The basic program is simple – there is a student book, a teacher book, a card game, and a CD. The CD has songs for all of the vocabulary in the book, and the songs are super-catchy (a mixed blessing when you wake up in the middle of the night singing them in your head and can’t stop!). My kids loved the songs and quickly learned them. The Latin Monkey Match card game is a bunch of fun. It’s basically a memory game where the children make matches between a Latin word and its English equivalent. My kids enjoy playing matching games, and this was no exception – even .handsome-will gave it a go. There are 31 chapters in the Student book. Each chapter is succinct and builds on the previous lessons. There is a bunch of review, and, of course, you can listen (or have your kids listen) to the CD over and over for review. Your kids will learn vocabulary for pets, animals, people, body, manners, household items, and others. It’s a gentle beginning to a lifelong study of Latin. The Student book and Teacher book are essentially the same, with the Teacher book having the answers filled in plus a few additional notes. The books are black and white, but they have very lively illustrations and the kids enjoyed working with them. I appreciated the fact that there wasn’t too much content on a page, so the wee ones weren’t overwhelmed. It was so much fun to practice our Latin. There are additional helps on the Classical Academic Press site, including audio pronunciation guides and coloring pages. Let me tell you that this program is wonderful and easy to use – even for those of us who have never seriously studied Latin before. There are notes throughout the Teacher book and a discussion on Classical versus Ecclesiastical pronunciation complete with pronunciation guide for each. You and your kids will enjoy this program – and you’ll learn a lot, too. My family liked it so much that I have recommended it to the staff at Hayden’s Way for use in their new K-1st class next year! I’ll keep you posted on that! 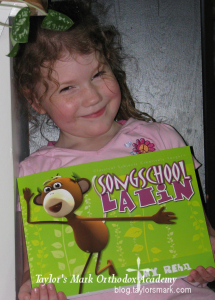 The Song School Latin program is a great introduction to Latin for young learners. The Teacher and Student books are priced at $22.95 each. The Latin Monkey Match card game is priced at $24.95. The entire kit is sold for $64.95, a savings of almost $6. Note that the CD I mention in the review is included in the student book. You may purchase the program directly from Classical Academic Press. BigIQkids is an online learning environment for children in grades K through 8. The learning concentrates on four core content areas: Spelling, Vocabulary, US Geography, and Math. They do offer free versions of the program; I was asked to review the premium version of the site. I had Wendy and Patrick working through all the subject areas of the site. Kids are able to earn coins for completing daily lessons in each subject area. They are then allowed to play educational games in exchange for those coins. My kids enjoyed doing the lessons and enjoyed playing the games with their coins. The program is fairly flexible; mom can modify any of the lessons, including being able to customize spelling and vocabulary lists. Another aspect that I found very helpful was that all the instructions are available in audio. There are two guides throughout the program – one girl and one boy. They give verbal instructions and help along the way. That’s nice since I was able to let the .blessed-dyslexic and Wendy go it on their own. I didn’t have to sit by their side the entire time to make sure they could read the instructions. I also appreciate that I am able to change the lesson length – the default number of daily math problems in 50, which I think is way too much for either of my students. So, I changed it to 15 and 20 questions per lesson. Also, I was also able to change the spelling and vocabulary lessons to incorporate words that we are learning in history and science. There are advertisements on the site, which I found a bit confusing at first – was I supposed to click here or there?? Once you get used to it, though, it’s no big deal. Also, the voices for most of the lessons are automated – a bit robot sounding, but the kids didn’t mind. And that’s what headphones were invented for, right? BigIQkids helps mom keep track of each student’s progress via email and cumulative reports. Along with percentage of correct answers, the report contains other helpful information like total time for completion and average time per question. Again, my kids really enjoyed completing their lessons online, and I enjoyed the fact that they could be independent. I would like to see more Phonics based content in the future – and maybe some science and history. 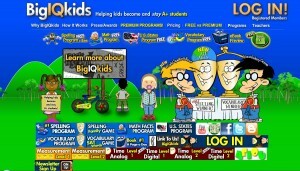 BigIQkids offers a premium version of their site for only $99 per year. With that, you get unlimited access to all four of the programs with fewer advertisements. You may sign up by clicking here. This is another review that I could have written a long time ago. We love, love, love ARTistic Pursuits! In this particular post, I will focus on the Senior High Book 1, which we had the privilege of reviewing. ARTistic Pursuits is a wonderful art curriculum for several reasons. Mom likes it because there is little mom-prep and because there’s a whole lot of information packed into each lesson. Students like it because it is engaging and challenging. Students at this level (and earlier) work on their own for the most part. We went over the art appreciation and art history concepts together, but that’s because I enjoy it, too. The projects give the student lots of room to make choices in subject matter, but also lend enough focus to make the task challenging and rewarding. There are so many great features in this book. Students learn vocabulary, art appreciation, art history, techniques, and practical application. Students are encouraged to develop their own unique personal style in their artwork. Students are taught to focus on one principle at a time in their artwork in order to practice it in a methodical way. This book has a particular emphasis on drawing skills. Students are introduced (or, if they have used other ARTistic Pursuits books, re-introduced in greater depth) to the elements of art and principles of design. Each unit teaches one element or principle. There are four lessons in each unit, and the student is encouraged to spend at least one hour two times per week on art. If your kids are anything like mine, you won’t need to cajole them into working on their artwork. In fact, if you are like me, you might even be tempted to use it as incentive to get other not-so-fun work done. Each unit also introduces famous pieces of art by famous artists that illustrate the concept being taught. The cultural background of each piece is explained, which I find is a wonderful complement to the true study of any piece of art. Basic information about the artist is also presented. One other nice touch these books have is that they include lots of examples of student work. Each unit has several pieces of art in the “Student Gallery”, which my daughter found quite encouraging. It was nice to see how other students her age interpreted the lesson objectives and then found ways to express their personal style within the framework of the assignment. This being a senior high book, information about class credits is also included and is extremely helpful to homeschoolers. Hannah has asked that I not share any of her artwork for this review, much to my disappointment. She still finds it very personal. So, to respect her wishes, I have instead included images of actual pages of the book, which may be found on the ARTistic Pursuits site. Each AP book is priced at $42.95. Included in each book is a list of materials you will need to complete the assignments. 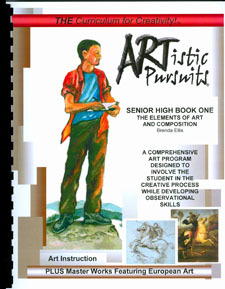 You may purchase this or any of the other ARTistic Pursuits books directly from their site. This is the fifth AP book we own, and I love them all. I highly recommend them for all your students – not just the “natural” artists. Everyone can and should learn the elements and principles of design. Who Is God? Is the first of four books in Apologia’s What We Believe apologetics series. The book is meant for children from ages 6 to 14 and is a wonderful resource for this age group. Who Is God? Teaches Christian worldview in a kid and parent friendly way. There are 10 lessons in the book as well as some practical helps on using the book with your own children. 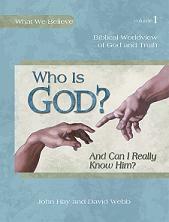 Each lesson presents a “Big Idea” about who God is and why we should care who He is. The main thing I like about this book is God’s timing – it’s always perfect! We are struggling with one of our children and their worldview, and this book has served as a great reminder to really help all of our children to develop a Christian worldview from the time they are born. Worldview is so very important and necessary for a strong foundation, which, coincidentally, is what the very first lesson is about. I am going to take you through the first lesson since you can download a copy of it for free from the Apologia website. First I will present a collage of all the pages and then I’ll tell you what they all mean. The fist section of the book is a tremendously helpful parent guide. The guide explains worldview and why it’s so very important. The guide also explains how to use the book with your children – how to ensure that you set aside time to complete all the discussions and activities included in each lesson. The recommended pace is approximately 2 weeks per lesson with 3 sessions per week, so six sessions per lesson. You of course can adjust this however you may need to make it work for your family. Each lesson is made up of the same basic components, and a schedule is recommended that divides the different parts of each lesson over the six sessions in two weeks. So what is actually included in each lesson? Are my kids going to want to do this? Is there extra help for parents? Included in each lesson are the following sections: The Big Idea, What You Will Do, Short Story, Think About It, Words You Need to Know, Hide It in Your Heart, Integrated Learning, What Should I Do?, Prayer, Worldview Study, and House of Truth. The Short Story sections introduce and illustrate important concepts through fictional narrative. The Hide It in Your Heart section is a pair of bible verses for memorization. The activities are fun and the discussions are absolutely terrific! Each child is also encouraged to keep a notebook on what they are learning based on their ability – young ones are encouraged to illustrate their lessons while older students are encourage to notebook about the topics they study. Your kids are going to want to do this. The activities are simple and illustrate the Big Idea of the lesson in an way that is easy to grasp. Again, it’s easily adaptable to your family needs, including adaptations for varying ages. The kids will enjoy the activities and the great discussions with mom and dad. And it’s so important to develop that Christian worldview early in your child’s life – before they get out into the world and are exposed to (okay, bombarded by/beat over the head with/ridiculed for not holding to) the secular worldview. This is such a great book and I am anxious to see the next 3 books in the series. You may purchase the books directly from Apologia. Each book is priced at $39 and you don’t need a teacher text. Parent helps are available on the Apologia website; instructions for downloading them are included in the book. Samples of each book are also available from the Apologia site. I’m thinking I need to put together some really attractive notebooking pages to go along with each lesson and the discussion questions! Hmmmm…now where did I put all that extra time I was saving up for just such an occasion? ?